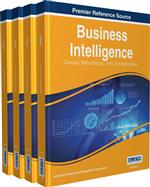 Demand for business intelligence (BI) applications continues to grow even at a time when demand for most information technology (IT) products is low, showing the importance of BI products for a modern organization. However, globalization changes the way organizations use BI, where geographic location and time independency is becoming more and more important. Gartner's hype-cycle on BI depicts the technology of BI as a Service as being almost on top of the hype cycle, indicating there are high expectations of this new technology. This research advances on existing literature on business intelligence and cloud computing from a development perspective by introducing the concept of business intelligence as a service (BIaaS). The most important deliverable is the BIaaS capability maturity model (CMM) that is introduced here. The BIaaS CMM explains the conceptual model of BIaaS by the creation of the first BIaaS capability model containing key capabilities of BIaaS. The capability model is further enhanced with maturity levels depicting the importance of each BIaaS capability, a maturity matrix suggesting a roadmap for BIaaS solution development, and a BIaaS assessment model introducing a tool for finding problem areas in existing BIaaS solutions. The developed BIaaS CMM ought to support (starting) BIaaS vendors to develop BIaaS solutions by providing an assessment tool for BIaaS solutions. The assessment outcome provides the current maturity of the BIaaS solution and also includes problem areas for solution improvement. The introduction of the CApability Maturity Positioning (CAMP) method for the development of a maturity matrix, which results in the BIaaS maturity model, is significantly different from conventional maturity modeling. To calculate the weight of each capability from the BIaaS capability model, a thorough product review of existing business intelligence and cloud computing products is performed. Analysis of the results and normalizing the outcome of that analysis together with the introduction of a calculation mapping, is input for the creation of the maturity matrix. The maturity matrix is the essential foundation for the developed business intelligence as a Service capability maturity model, which is the main deliverable of this research. In the twenty-first century, organizations are dealing with a fast changing environment. The changing environment is mainly caused by globalization, where geography and time boundaries no longer limit organizational processes. To react on this globalization, technology vendors develop more and more advanced technologies to accommodate organizations and give them competitive opportunities in this changing environment (Kakihara & Sorenson, 2002). One essential component in organizational success and increasing their competitive position is Business Intelligence (BI) (Wixom, Watson, 2010). But also with BI, globalization is changing the way organizations use BI. Market researchers predict a steady shift in the way organizations use BI and it is driven by the upcoming Software as a Service (SaaS) solutions (Gartner, 2013). This shift results in BIaaS solutions, Business Intelligence offered as a service on the internet (e.g. BI that is geographically and time independent). More and more BI vendors are exploring the BIaaS solution hype by improving their BI products with SaaS abilities and thereby developing BIaaS-like solutions. BI (in some form) already exists for decades and extensive knowledge is available from different studies, and also SaaS as we know it now, already exists for some years and researchers have followed this trend by doing research on SaaS and cloud computing. However, in contrast to BI and SaaS, combining these two together and offering BI as a Service (BIaaS) on the Internet is a quite young field of research, and therefore there is not a specific BIaaS model available that elaborates on what BIaaS solutions should entail or a best practice for BIaaS solution development. Taking this lack of clarity about BIaaS and the missing guideline for BIaaS solution development into account, this research focusses on defining BIaaS and its contents and the creation of a roadmap for BIaaS solution development. Thomson and van der Walt (2010) outlined the essence for companies to invest in BI in the cloud. Their research conclusion stated that BIaaS solutions (i.e. BI solutions offered as services on the internet) will allow companies to reduce the cost of having a BI solution and also having access to the latest software which will give the business an edge on their competition. This opposed edge on the competition by having access to the latest software has long been supported by earlier research done for instance by Porter and Millar (1980), and somewhat more recently by Clemmons and Row (1991). De Marco et al (2010) support the conclusion of Thomson and van der Walt (2010) on BIaaS solutions that reduce company costs, but they also seek to establish a conceptualization of the enabling factors in Business Intelligence as a Service solution adoption. Their main research objective was to propose a model containing enabling factors for the adoption of BIaaS solutions. They seek to expand on the Benlian, Hess and Buxmann (2009) model which is based on a theoretical framework including axioms from Transaction Cost Theory, Resource Based View and Theory of Planned Behavior. Having outlined the benefits for companies to market BIaaS solutions, it is clear why analysts foresee a growth of investments companies will do in BIaaS solutions and therefore the importance for BI solution vendors to offer BIaaS solutions for their customers (Gartner (2013)).